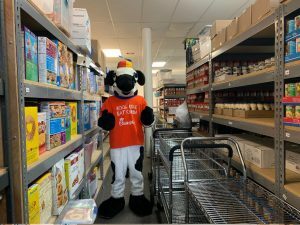 Look who came to visit the HELP pantry! Thank you to Chick-fil-A Kentlands Square In-Line for making us the beneficiary of your “Think Outside the Chocolate Box” promotion, last month. 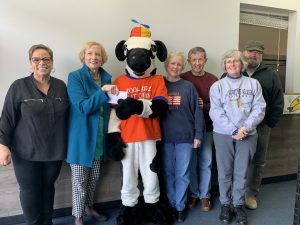 We were delighted to have this photo op with our friend, Cow, and we sincerely appreciate the funds donated to support HELP programs – THANK YOU! !